Eivind: Good, but it&rsquo;s been so cold outside. Sigurd: About -25 Celsius in Nesbyen, and a lot of ice. That sounds terrible. So, who is Chaoz Productions? Eivind: Me and Sigurd were the main people behind Chaoz when we started in 2007. We were just filming in the local ski resort and made some small edits with some friends and that&rsquo;s where it all started. 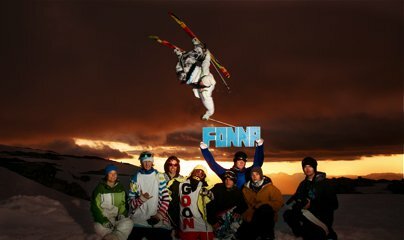 We participated in a video awards contest in Sweden called Freeride Video Awards in 2007 and we ended up winning the competition. (Watch their winning entry here: http://www.freeride.se/tv/1604/) Then we started thinking that maybe making ski films was something we could actually be good at. So the next year, we made our first movie called &ldquo;Empty Pockets&rdquo;, and the year after we made &ldquo;Shoot Me&rdquo;, which ended up getting into IF3 in the AM category, and that was pretty big for us. 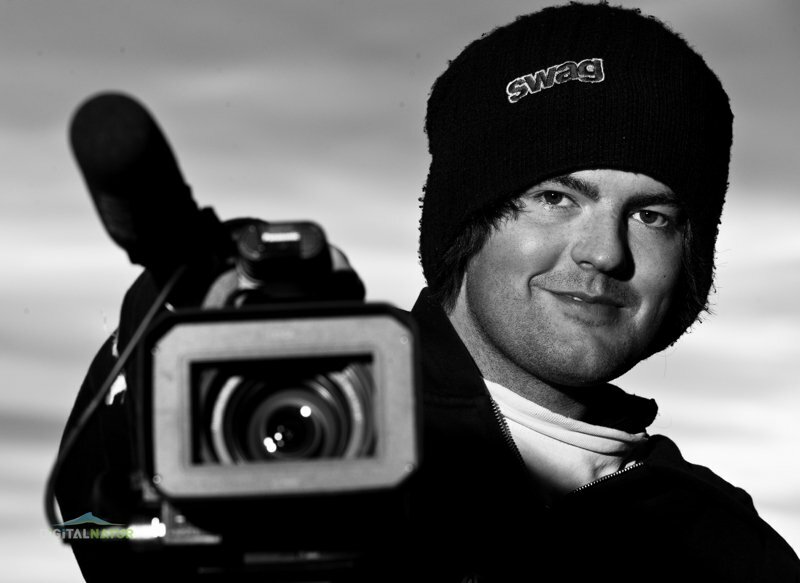 Eivind: We had only made two films and suddenly we were competing with some of the best freeski movies in the world. How did word first get around about Chaoz? Sigurd: I&rsquo;m not sure. We were up in Hemsedal a lot and met some riders up there who we started to film. Eivind: Yeah once we started filming some of the best freeskiers in Norway people just started to recognize us. Oskar: And before we did the movies we did some small edits and stuff which we put up on the Internet, and we got a great response on them. Speaking of response, how has the response been so far to your latest film, All In? Eivind: Very good, I think! We ended up competing at IF3 this year as well so we were pretty stoked on that. It was also the first movie we made into a DVD for Friflyt Magazine, so we&rsquo;re not just distributing it for free on the Internet but also as a free insert in magazines. And that&rsquo;s something we are going to continue to do in the future as well. Oskar: It&rsquo;s always the money. We always need more money. Eivind: We got a big sponsor last year, SB Sportswear, and they helped us out a lot and I don&rsquo;t think we could have made this movie without them. Obviously a film like this demands a lot of work not only from the riders but also from the production crew. Could you quantify how much work was put into All In post-filming? Eivind: We actually edited the movie in just a couple of weeks because I was in such a rush to meet the IF3 deadline. So we finished post production in like three-four weeks. What were some of the most memorable moments you guys encountered while filming? 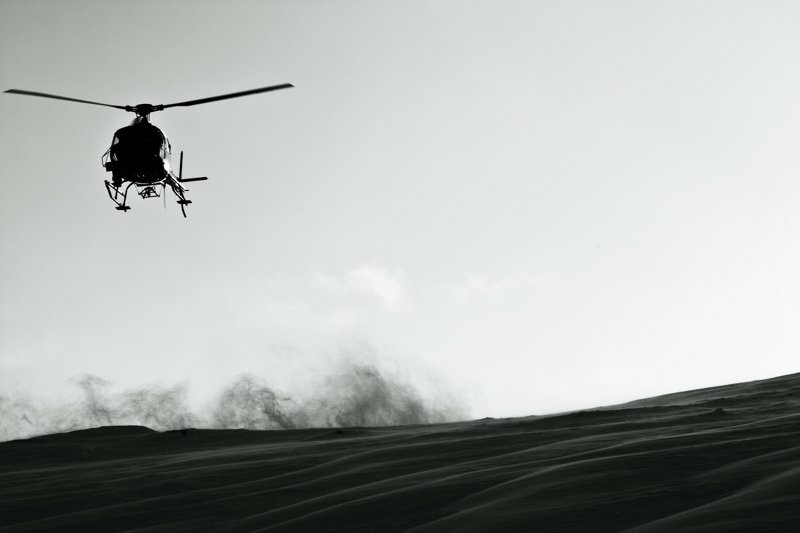 Oskar: I remember when we were going to have the heli shoot, the jump was on the top of the mountain and all the lifts to were closed because it was too windy, so we didn&rsquo;t even know if the heli could take off. Shooting with a heli for your first time must have been a big moment for you guys. How did it go? What does the heli change? Oskar: I actually didn&rsquo;t even notice the heli. When I was standing at the top of the run and the heli came up I was really nervous but when I started to ride I didn&rsquo;t think too much about it. We only had it for 45 minutes so you had to really get your tricks. Eivind: It&rsquo;s like 13,000 NOK ($2,200 USD) per hour with the heli. There were some snowboarders there as well, so our riders didn&rsquo;t actually have 45 minutes, it was more like 20-25 minutes. Oskar: And it was so windy that it was hard to really get our tricks down. When we first tried the jump before the heli came we drifted like ten meters. So it was scary to just do a straight air. Eivind: I don&rsquo;t think people can tell it was that windy in the movie. Well that&rsquo;s definitely something people should appreciate when watching the movie now that they know. Any other amusing anecdotes you guys have from filming the movie? Eivind: &ldquo;Let&rsquo;s just go home and watch a movie.&rdquo; (laughs) We find it pretty hard to get handrail shots. What makes it so difficult for you guys? Eivind: It can be hard to find the snow and frustrating to land your tricks when we know that all the Americans are doing so much better handrail tricks than us (laughs). Oskar: Yeah we need to work on that! (laughs) But this year we have solved one of the problems. We brought in a motocross rider and modified his bike a little bit so now we can tow in behind his bike. Sigurd: The bungees work really well too but the riders get really tired. Also, one time in Oslo we were filming handrails all night and didn&rsquo;t get a single shot, and on our way home we looked at the thermometer and it was -36C. Oskar: And a few weeks ago in Hemsedal we were filming when it was -30C and windy for about 8 hours! That&rsquo;s Norway for you! (laughs) So what have you guys been up to so far this season? Sigurd: &hellip;and a lot of planning. Which of those plans are you guys really looking forward to? Eivind: We&rsquo;re going to shoot more big mountain sequences than we ever have before, and I am really stoked on that. I can&rsquo;t really tell you too much about it, but we have some plans in the north of Norway. Oskar: And we are thinking about going to the Alps maybe, which I would be really stoked about. Build some big kickers. What about the style of your new film? Is there going to be anything specific in this next movie that you really want the people to recognize? Eivind: I think we are going to go for a more documentary style for the movie and show more of the behind the scenes and that kind of stuff. Our ski movies have been pretty much just 30-minute music videos, so we&rsquo;re going to try to do something different and have a story throughout the whole movie. 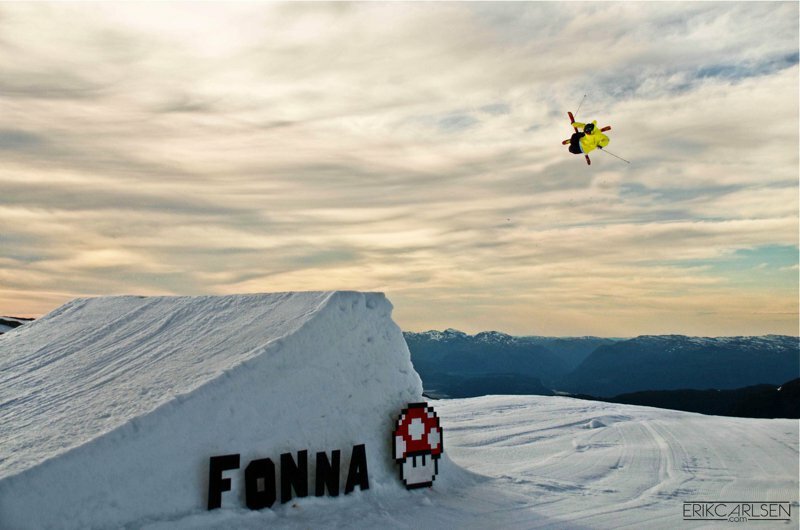 Let&rsquo;s talk about the Norwegian ski scene, namely, why are Norwegians so good? Sigurd: It&rsquo;s a winter country. And there&rsquo;s been a lot of progression in the whole newschool style of skiing, so all of the riders here push each other. Oskar: I can even see a big difference between Sweden and Norway, because in Norway the sport gets a lot more attention from the media, for example, VG, which is a popular Norwegian newspaper, collaborated with Field Productions. Eivind: And I think twin-tips make up something like 70% of all ski sales in Norway. How do you think the skiing in Norway compares to the rest of the world? Sigurd: It&rsquo;s definitely getting better, but when I was in the States I noticed the blue line would be like the black line in Norway, and they&rsquo;re always shaping the park and things like that&hellip;and it&rsquo;s not like that in Norway. 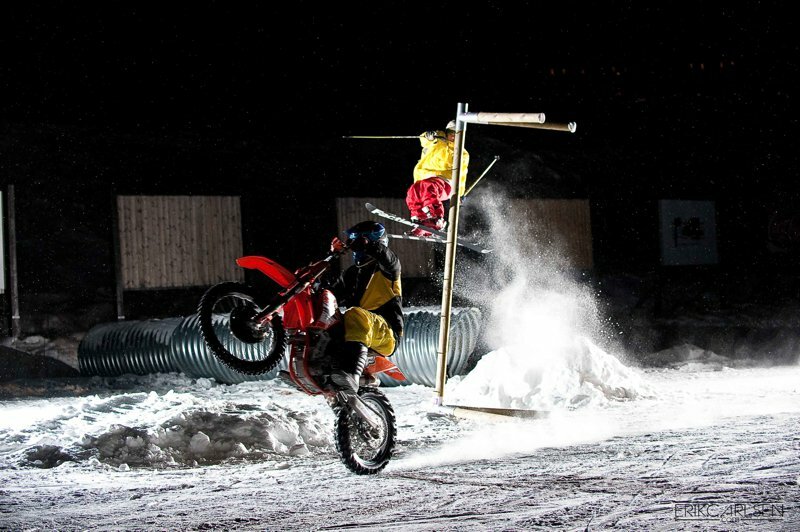 I remember when we were younger, Eivind and I were shaping the jumps. But it&rsquo;s getting better now. Eivind: I think the problem is that in Norway, the park builders don&rsquo;t really know what they&rsquo;re doing. Sigurd: We have a few really good builders though who they should learn from them, like Emil Fossheim. Eivind: Emil Fossheim is one of the best park builders in the world in my opinion. What about your guys&rsquo; influences? Who do you look up to in the ski film industry? Eivind: Well since we&rsquo;re from Norway, I definitely look up to Filip Christensen. It&rsquo;s pretty cool to see how far Field Productions has come in just a couple of years. Filip, from little Norway, is making films at least as good as the big ones in the States. So that&rsquo;s a big inspiration of course, and Level 1 has always been a big inspiration for me as a filmer, because they have always been creative. And what about as far as skiers go? Oskar: Well I&rsquo;ve always looked up to Mike Wilson, but I don&rsquo;t know if that&rsquo;s such a good thing! (laughs) I don&rsquo;t know if I&rsquo;ve looked up to him that much, but I always like to watch his movies. I also look up to a lot of other athletes from sports outside of skiing who are doing crazy stuff. Like Robbie Maddison, and Lucas Magoon, who always has really cool spots and video parts. I think it&rsquo;s really important to look at what the other sports are doing and try to bring them into ski movies. Sigurd: Tanner Hall. He&rsquo;s been in the game so long, and is good at park, powder and everything. I feel like a lot of the guys in the beginning were just doing it for the fame, but he&rsquo;s always been about doing something for skiing and the ski industry. What advice would you have for all the aspiring ski filmmakers out there? Eivind: Really pay attention to other ski movies, because it really helps a lot. Look at the angles they shoot from and how they use their cameras. And what about aspiring up and coming skiers? Sigurd: And surround yourself with friends who will push you. How about we wrap this up with one of the main stars of your most recent movie&hellip;Xzibit! How did you guys meet him? Eivind: He was doing a concert in Lillehammer for some reason and we got a call from a friend of ours who had seen him in a sports shop buying ski gear, and he mentioned Xzibit was going skiing in Lillehammer the next day. It was a once in a lifetime opportunity, so we just jumped in the car and drove to Lillehammer to look for him and ended up finding him. Did you guys actually get to ski with him? Sigurd: We did. We ended up skiing with him for a couple of hours (laughs). He had a very big crew around him. Oskar: And he had small LCD screens on his skis. It was weird (laughs). Eivind: He was actually pretty good too! Oh yeah? So is there room for him in the next movie? Eivind: (laughs) I don&rsquo;t think so. Any shout-outs you&rsquo;d like to throw out there? 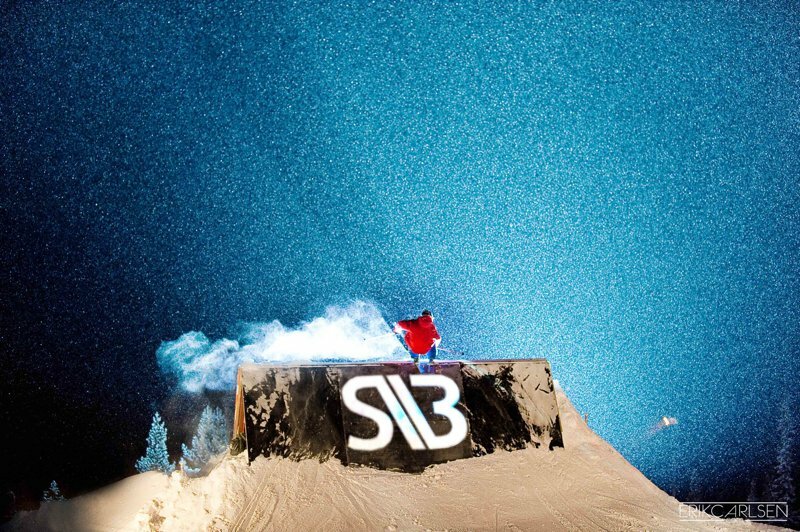 Eivind: SB Sportswear of course, Fri Flyt, Newschoolers, and all of our other sponsors. Sigurd: Thanks to everyone out there watching our movies and following what we&rsquo;re up to! Oskar: I&rsquo;d like to thank the police, because we&rsquo;ve never been busted by them. I heard it happens all the time in America, but the police here always come up to us and tell us how stoked they are on what we&rsquo;re doing. So thanks to the cops! All In by Chaoz Productions from Chaoz Productions on Vimeo. To keep tabs on what Chaoz Productions is up to this winter, check out http://www.chaozproductions.com, and be sure to follow them on their Facebook page at http://www.facebook.com/chaozproductions.